I am a reluctant traveler. Even as I long to break out of my routine, managing the details for leaving home is often like ripping a particularly sticky bandage from sensitive skin. But by the end of this past summer, I was ready go and that’s when a trip to Australia fell right in my lap. The possibility of heading down under had been brewing on the back burner ever since our friends announced they would be spending their sabbatical there. The decision to go, however, wasn’t made until the last possible moment. Yes, I have photos of kangaroos and emus and beautiful scenery, which I may eventually share here. But for now, I give you an ibis. These beaky birds are as populous in Sydney’s public parks and gardens as pigeons are in New York. And they show up in the work of artist and ceramicist Anne Francey. I have admired Francey for some time now — as much for her unshakeable grace as a person and a parent as for her art. Sounds like an amazing adventure. Good for you, Judith. 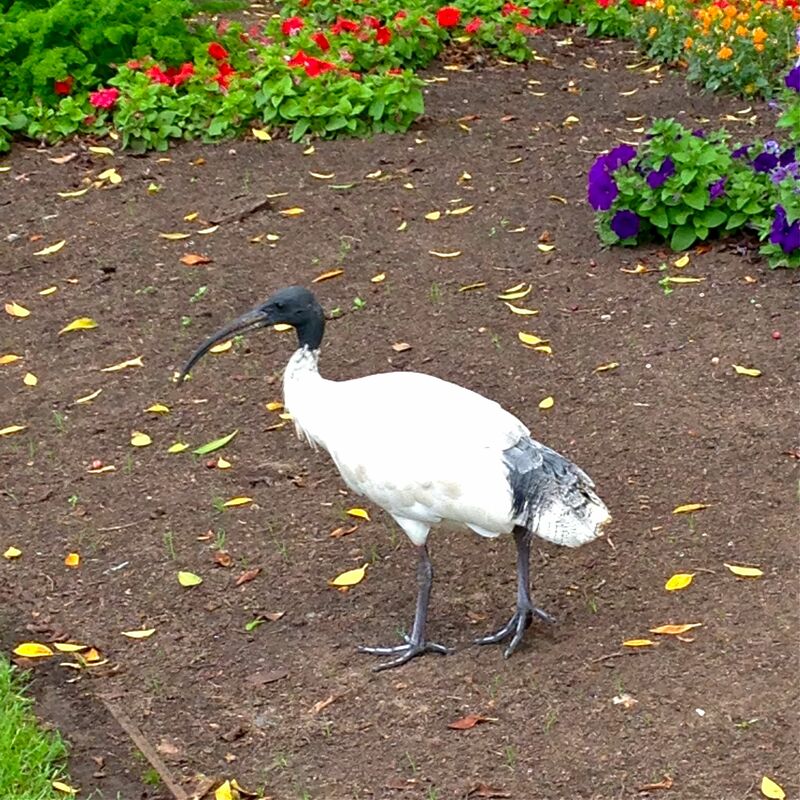 Doesn’t the ibis also have something to do with the writing arts … maybe in Egyptian mythology?